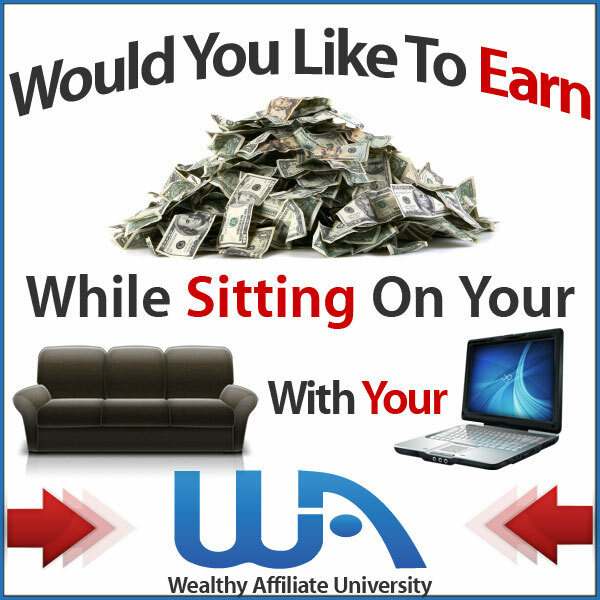 Making over $7,000 a month from home doing simple Online tasks is definitely a mouth watering offer that is bound to catch your eyes, if you are looking for Online opportunities to make money from home or become your own Boss. I mean.. Who wouldn’t Love that! And seeing you are here today, I believe you’ve come across this same offer from the Real Money Streams and want to find out if their claims are genuine or another Sammy product to be weary of. Good news is, we’ve got you covered, as everything you need to know has been detailed in the Real Money Streams Review below. So sit tight and enjoy.. In other words it stands as the middle man (bridge) between you the job seeker and companies who need your services. SignUp: you put in your basic details, then pay the required amount which is $47 as at the time of this review, once this payment is made, you then have access to the member area. Training: this is the next section, where he provides you training on what the Real Money Streams is all about and also how you can utilise his System to your best of interest. Get paid: when you have chosen and completed each task, you then get paid. Payments can be made by PayPal, bank transfer or direct deposits. In summary, once signed up, you go through the training, then chose a job/task, complete it and get paid. The Owner of Real Money Streams by name Chris, claims he has spent the last nine months searching the web to discover all these hidden jobs no one knows about and because of his kind-heartedness, he is out to share his Resources with you, but at a given fee. Note: these said online/offline jobs are only micro tasks/menial jobs. You did think you will be getting access to real main jobs. Now I know you may think absolutely nothing wrong with that, at least he should get paid for his efforts. But it becomes a problem when you realise that the fee doesn’t end there! Because once you have signed up with this System, then comes the upsells, and if you are not aware by now, then let me tell you that when a System has upsells and downsells, that means you won’t be getting much value for your first payment. What am I trying to say? That, the first payment you make, is just an enticement to get you into the System, and once you are in and then see there isn’t much offered at that stage you will have no choice but to either pay more to get more value or you don’t pay and then be stuck at that stage with minimal or no further progress at all. If you will be getting the best at the first stage, then why the upsells? Or Why were you not told from the onset about these extra costs included? What’s more, he doesn’t even let you into the fact that its micro jobs and tasks you will be performing! Who needs to pay for that! Let alone the upsells included in it! You want to engage in micro jobs and tasks? There are hundreds of websites/companies that will engage your services for free and still pay you for that. Here is access to over 100+ of them, with descriptions and categories already laid out. You don’t need to pay for these..
Now that said, I very much know there is nothing wrong with doing online tasks or jobs as Chris chose to call it to justify his claims, what really baffles me with Real Money Streams is the claim that you can make up to $7,000/month doing these tasks. Knowing well that Online tasks are menial jobs that do not pay so much, in fact the pays are from a few cents to a couple of dollars per hour, hence my confusion on how this can generate you up to $7,000 at the end of month! If we should even consider the fact he said he makes over $500/week, adding that up at the end of a month won’t still amount to over $2,000 so how come the $7,000/month claims. This just goes to contradict his claims. And that makes me weary of his System. As at the time of this review, the price is $47, though I seem to have seen different prices on some other websites, which makes me think may be the price varies with the region. And after this comes the upsells and the monthly payment of $17. Yea! That is another thing you are not told, there is a monthly recurring fee of $17. Note: be weary of one click upsells, as you are automatically billed for any recurring payments you may not even be aware exists. Can actually make money with this method, but not to the amount claimed. The methods mentioned in the Real Money Streams are definitely legit ways to make money, but these jobs will not get you paid anything close to what Chris has claimed here. That being said, We have provided you with all you need to know about this System and reasons why we do not recommend it, and provided you with access to these same job opportunities for free. It is now up to you to decide what you have to do. Knowing that the methods used by this System are genuine, and one we even recommend if you are just looking to make couple of hundreds of dollars, we still see no reason why you should pay so much to have access to them, so if you think, that is what you want, simply go here for access. But if you are here and is looking for something much more than a couple of hundreds of dollars, you want something that can be sustainable and at the long run will serve as full time income for you, something that will eventually help you get that financial freedom you so much desire and at the same time generate you passive income streams, then check out our #1 Recommendation here. That is it for today, hope you found this post helpful? If so, please kindly share with others. Don’t hesitate to ask any question you have or give your own opinion on what you think. And if you’ve already tried this System, do share your experience with Us below.